Norway has under 2.5 goals in their last 4 away international matches. Wales has over 2.5 goals in their last 3 home international matches. Denmark has under 2.5 goals in their last 3 international matches. Slovakia scored in last 3 international matches. Ukraine allowed opponents to score over 1.5 goals in last 4 international matches. Gibraltar has under 2.5 goals in their last 3 international matches. Denmark allowed opponents to score over 0.5 goals in last 3 international matches. Norway has under 2.5 goals in their last 5 international matches. Wales scored in last 3 home international matches. Norway allowed opponents to score over 1.5 goals in last 3 away international matches. Ukraine scored in last 4 international matches. Armenia has under 2.5 goals in their last 3 away international matches. Norway allowed opponents to score over 1.5 goals in last 7 international matches. Netherlands has over 2.5 goals in their last 3 home international matches. Netherlands scored in last 8 international matches. Cyprus scored in last 3 international matches. Ukraine has under 2.5 goals in their last 3 international matches. Internacional have scored 2 goals or more in each of their last 4 home matches in Serie A (Brazil). America MG have failed to win in their last 10 matches in Serie A (Brazil). Internacional have been undefeated in their last 16 home matches in Serie A (Brazil). 74% of America MG’s points have been earned at home in Serie A (Brazil). Internacional conceded at least 1 goal in each of their last 9 matches in Serie A (Brazil). America MG have scored 63% of their goals in the first half in Serie A (Brazil). Internacional have scored in each of their last 11 matches in Serie A (Brazil). America MG have lost 69% of their away matches in Serie A (Brazil). Atletico GO have failed to win in their last 5 home matches in Serie B (Brazil). Sao Bento have scored in each of their last 8 away matches in Serie B (Brazil). Atletico GO conceded at least 1 goal in each of their last 5 home matches in Serie B (Brazil). Sao Bento have conceded 2 goals or more in each of their last 3 matches in Serie B (Brazil). Atletico GO have conceded 2 goals or more in each of their last 4 home matches in Serie B (Brazil). Sao Bento have lost their last 4 away matches in Serie B (Brazil). Atletico GO have scored 31% of their goals after the 75th minute in Serie B (Brazil). 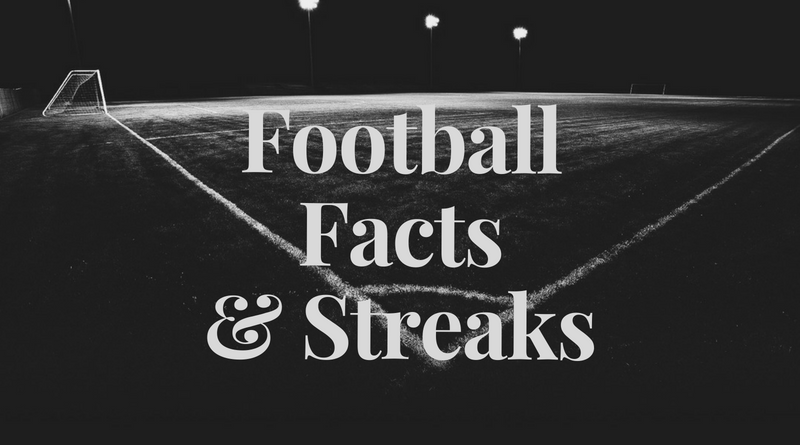 Sao Bento have scored in 72% of their away matches in Serie B (Brazil). 72% of Sao Bento’s points have been earned at home in Serie B (Brazil). Sao Bento have conceded 2 goals or more in each of their last 5 away matches in Serie B (Brazil). Las Palmas have scored 29% of their goals in the first 15 minutes in La Liga2. 100% of Granada’s conceded goals occured in the second half in La Liga2. 80% of Las Palmas’s conceded goals were conceded away in La Liga2. Granada were leading at halftime in 62% of their matches in La Liga2. 71% of Las Palmas’s points have been earned at home in La Liga2. Las Palmas have scored 71% of their goals at home in La Liga2.